As Australia's leading non-bank lender, we are big enough to give you market-leading interest rates and we are small enough to care. With Mortgage House you're not just a number. Mortgages are another name for home loans, and Australian residents are blessed with a secure and variable home mortgages industry that is the envy of the world. When you borrow money from banks or lenders to buy a property, you enter into a legal agreement that requires you to make agreed mortgage repayments over the life of your loan. If you calculate your mortgage options before you start looking for a property, you can make choosing from suitable home loans a little easier. You can do this with any of Mortgage House’s mortgage calculator options, which search all our home mortgages to find suitable options based on your financial situation and property goals. Principal and interest. This is the most common of our home loans. Mortgage repayments are made up of both the principal amount and the interest banks and lenders charge to allow them to provide you with the loan. Interest only. These kinds of home mortgages require you to pay back only the interest amount of the mortgage repayments, usually over an agreed, shorter, period of time. The goal of these home loans is to sell the home before the interest-only period ends and use the proceeds to pay off the principal amount. Owner Occupier. Owner occupier home loans are home mortgages for people who intend to live in the property they are looking to buy. These home loans are the most popular offered by financial institutions, and as a result there are a lot of options to choose from. Use a mortgage calculator to calculate your mortgage needs and take one step closer to finding a suitable home loan for you and your family. Investor home loans are for those looking to use real estate as an investment. Investing in property can have tax benefits and making regular mortgage repayments in Australia can help your credit rating over the long term. A successful mortgage application is when a bank or a lender determines that you are capable of making mortgage repayments over the life of the loan, based on a range of factors. They will calculate your mortgage suitability by looking at your credit file and credit history, your current income and expenses and a range of other variables such as how long you have been with your current employer. However, you may be able to calculate your mortgage borrowing calculator before applying for any home loans. A Borrowing Calculator can give you an indication of how much you may be able to borrow, helping you narrow down your property search. Importantly, this kind of mortgage loan calculator is not a pre-approval, and is only a guide, but it can be a good start. All you need to do is search our home loans for one that suits your needs, fill in the details of the mortgage calculator below and we will calculate your mortgage borrowing options, including mortgage repayments. Fixed rate: A fixed interest rate home loan is one where the interest rate is fixed over an agreed period of time. This period is usually between 1 and 5 years, and the time can vary among financial institutions. Variable rate: Variable rate home loans are the most popular in Australia, and mean the interest rate can increase or decrease over the short and long term. Both internal and external factors can impact on whether the interest rates for these kinds of home loans rise or fall. Toggle Offset: These kinds of home loans can be a good compromise between the above two. With a toggle offset home loan, half has a fixed interest rate, and half a variable. You can toggle between the two to make the most of current interest rates and save. Split home loans: Mortgages like these are similar to toggle home loans, with portions that are both variable and fixed, but there are no restrictions on the proportions. Portable loans: These kinds of home loans are ones you can take with you when you move. Line of credit: A line of credit can be either a home loan or a personal loan and can help you access money when you need it most. Low Doc loan: If you are self employed or don’t have access to the documents most financial institutions require when applying for home loans, a Low Doc loan may be the answer. Construction loan: Australians love building homes, and Mortgage House has a range of home loans that are designed just for that purpose. A Construction Loan will pay the builder in agreed stages, with interest only charged on the amount paid out, not the overall mortgage. Bridging loan: If you are selling your home and buying a new one, Bridging Loans can help you fill the gap. At Mortgage House, we understand that getting into the property market, especially in Australia’s capital cities, can be difficult. That is why we have a range of tools and resources that aim to make it easier. One of the tools that may be available to you is Lenders Mortgage Insurance. While most financial institutions require you to have a 20% deposit when applying for home loans, LMI can allow you to borrow up to 95% of the value of the property you are looking to buy. Mortgage insurance such as LMI protects the lender in case you default on your loan, and how much you pay can depend on the value of the property and the amount of deposit you have. In most circumstances, Mortgage House should be able to arrange your mortgage insurance, with the added benefit that it will be a one-off payment only. You can pay for mortgage insurance up front or add it to your home loan and pay it off over time. If you decide to do it this way, it is important to add the mortgage insurance fee to your home loan mortgage calculator at the very beginning. Importantly, as your property value increase, you could easily make up for the cost of mortgage insurance. And if you build up enough equity over time, you could also refinance your home loan and avoid paying mortgage insurance. As your property increases in value over time, it could make up for the cost of LMI. Over time you could also unlock the equity in your home to refinance and avoid paying LMI. A reverse mortgage is a way to help older or retiring Australians get the most out of the equity in their current home, without selling it. When you have built up enough equity in your home, financial institutions may be able to help you use that equity for a reverse mortgage. You don’t have to make regular mortgage repayments and the money back can be paid back when you sell your current home, move into a retirement home or pass away. This option is commonly used by people who need extra money, are retired and/or don’t want to sell their home. As such, most financial institutions will only allow those over 60 to apply. Investing. Reverse mortgages are very flexible and can be taken various ways, including as a lump sum, line of credit, income stream or a combination of all of them. How much you are eligible for can depend on your age, so if you have a large amount of equity, it may be a good idea to leverage it into borrowing money for an investment that has a good chance of a strong return. Buying property. Increasing your property portfolio can be good move no matter what stage of life you are at. And if an opportunity arises that needs to be jumped at immediately, then being able to leverage your equity through a reverse mortgage can be a good strategy. However, speak with your accountant to ensure the property you are buying stacks up financially, and compares favourably to the value of your current home. That’s important because reverse mortgages have to be paid back. It is important to realise reverse a mortgage will need to be repaid, and they will also accrue interest, even when you are not scheduled to be making repayments. Make sure this is in your budget planning, so when you do sell your home and repayments begin, it is not too big a shock. A mortgage calculator can give you an indication of how long it takes to pay off a mortgage, and how much your mortgage repayments may be each week, fortnight or month. Most Australians can apply for home loans for up to 30 years, but you can choose smaller periods if you wish. Most Mortgage House home loans give you the option of paying them off sooner than the agreed period, without being penalised. While some financial institutions can charge you for making extra mortgage repayments in Australia, Mortgage House has a large range of home loans that won’t. That means that for owner occupier and investors, making extra repayments, and paying off your loan sooner, is something that is simple to do. Making extra mortgage repayments in Australia means you will pay less interest over the life of the loan, saving you money. It’s worth understanding how to calculate your mortgage repayments, including any extra ones, before making any property decisions. If you have used our mortgage calculator and aren’t sure whether extra repayments will fit in your budget, but you would still like to have the option, Mortgage House have a range of home loans that include a Redraw Facility. Redraw means you can draw-down, or withdraw, any extra repayments or lump sum payments you have made over the life of your mortgage loan, either in the short term or long term. You don’t have to spend the money on your home, and you can withdraw it whenever you like, as long as your regular minimum repayments are up to date. Searching through Mortgage House’s home loans to find an interest rate that may suit your current budget and financial situation is a good place to start. How do you calculate mortgage repayments? Working out how much your mortgage repayments are likely to be is simple, thanks to Mortgage House’s mortgage calculator. Once you have narrowed down a few home loans that may be suitable, simply put all the relevant information into the calculator below and we will do the rest. How much your mortgage repayments are will depend on the home loan, how much you borrow and for how long. Not only will our mortgage calculator give you an idea of the repayments, but it will break them down for you into interest and principal amounts. That means you will get a clear picture of how much interest you will pay over the life of the loan. You can adjust the loan period to discover how much you can save by paying off your mortgage sooner, and you can adjust the interest rate up or down to mimic any variable rate fluctuations, allowing you to see the full picture of what might happen in the future and how that will affect your budget. 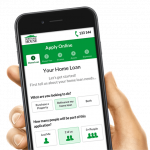 A mortgage loan calculator such as this one is flexible, easy to use and can give you some of the information you need to take the next step.